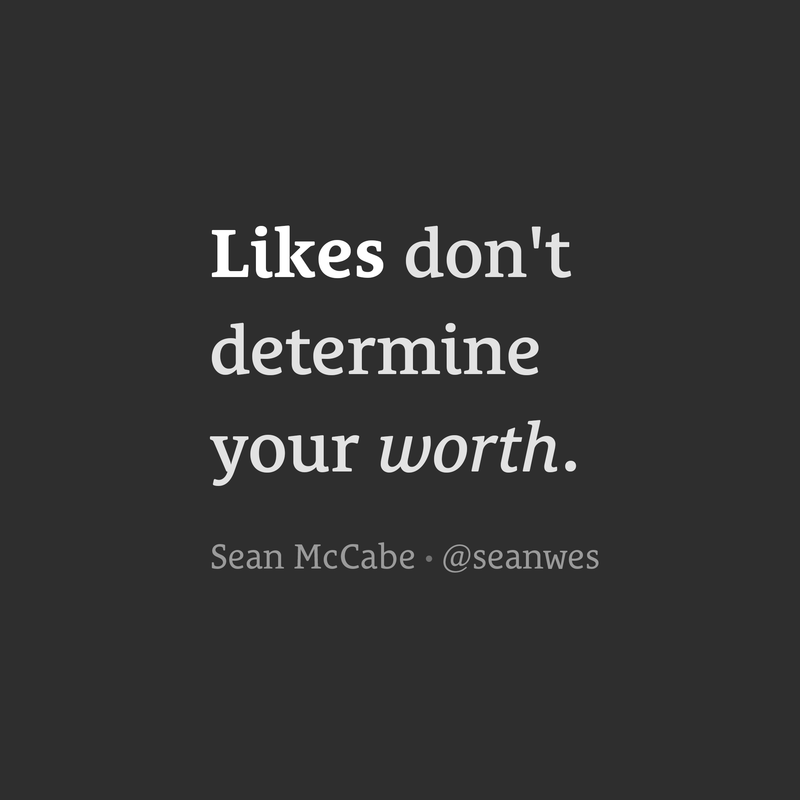 Likes don’t determine your worth. You are more than the number of likes, views, and followers you get. I’ve fallen into the trap of wanting “more” for the sake of more and losing sight of what matters. Let me tell you, it doesn’t change when you add a zero. You think it will be different when you go from 100 to 1,000, or 10,000 to 100,000, but nothing changes. I have friends with millions of followers who tell me they still think the same things: “This only got 10,000 likes,” or “This only got 100,000 views…” Something is wrong. I need to change things. This isn’t good enough. These feelings don’t go away with scale. Would bigger numbers mean you matter? Would they confirm you have an impact? Would they make you feel important? What if you only ever had the audience you have right now for the rest of your life and it never grew? Would that be enough? How many followers or subscribers do you want? How many likes would be enough? Stop to think about exactly what you want and why you want it. Focus on the people you currently reach. Provide value to the 12 people who like, the 36 who view, or the 278 who follow. Invest in the people who already care about you. They’ll be your ambassadors.